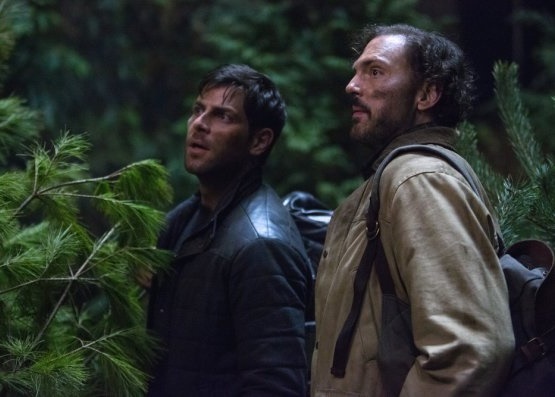 Grimm aired its 100th episode on NBC last week, and it has been a fight for the series to make it that far, according to David Giuntoli. He spoke about the series in an interview with The Los Angeles Times this week, and he made one shocking revelation. Season six could be the last season for this series. NBC has not yet renewed the series though, so it could very well end with the fifth season. Fans will need to wait for news on the fate of the series. The series’ 100th episode did answer a big question. Nick and Monroe found the treasure that was hinted at during the start of the series. They managed to uncover it on the last episode, and it had great power. It healed Monroe from an infected bite. The series has been a Friday night staple for several seasons, but the ratings have seen a dip this season. Do you want a sixth season of this series? Tell us what you think. I have watched Grimm series every Friday night and look forward to each new episode. Really enjoyed the script, the actors and the storyline. thanks to everyone for having made the series possible. I really hope you renew Grimm. The ending left us in the dark about most of the characters. We saw Kelly but is he a Grimm, a Vesson, both? What about the triplets? Please renew Grimm,we want more!! I love the Grimm series, please don’t cancel this show! I think it’s a great show, NBC has a winner here, if it’s dropped, then I will drop NBC. I’m not ready for grimm to end at all!! I love love Grimm. Always look forward to it on Friday night. Definitely want a next. I am not ready for it to end. Please keep it going. I would love to see one more sEason and see how it will end see what new creatures will be on the show. I’m thrilled to learn that GRIMM has been renewed for season six. In another article, I read that “there is a lot of speculation about how the final 13 episodes will unfold.” To me, it sounds as though season six will be the series finale. That is very distressing . Even is the numbers have dipped those who continue to watch GRIMM are very loyal. I say that as long as the actors want to continue production , the network should support them. Keep the show, it is one of the few series worth watching, we even got the kids involved!